With Dell’s fiscal first quarter behind us, Dell Channel continues to outpace the industry by three times the revenue growth globally while North American channel partner’s revenue has seen double digit growth. 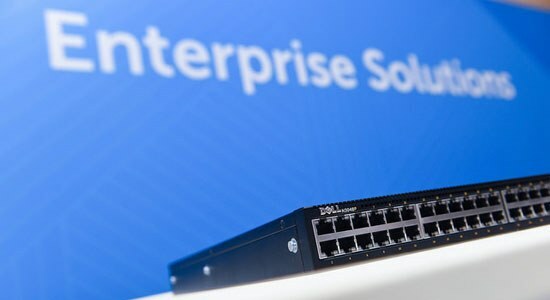 As announced at Dell World, we added more incentives and rebates to help our partners grow their business with Dell, including client and enterprise base rebates for Preferred partners and client base rebates for Premier partners. As part of our ongoing Partner Portal updates, partners now have visibility into their rebate details to help them understand the progress that they’re making. We’ve also added New Business Incentives (NBI) in all regions rewarding partners who bring Dell into new accounts and/or additional product lines with current customers. So far, over 2,000 North American Premier and Preferred Partners have received new benefits with over 1,100 partners eligible for new base rebates. We have also continued to invest in partner training and enablement, growing our certified Preferred and Premier partner community to over 4,600 partners globally. Since the year kicked off Dell Channel has received a number of accolades, celebrated anniversaries and announced a number of program updates. I am proud to be amongst the Dell executive women who were honored as CRN’s 2016 top Women of the Channel. Dell EMEA took home the Grand Prix from the 2016 PC and technology PCR awards ceremony for generating more than half of its EMEA business revenue, with over 70 percent of its enterprise business going through the channel. Dell New Zealand celebrated 20 years of business in the channel and launched its Dell Engineers Club for local channel partners, providing additional support and technical training for select partners. In addition, Dell Italy opened up a distribution agreement with Tech Data Italy and Dell Germany launched a new partner advisory board. On the product solution front, we unveiled HCI portfolio expansions to help channel partners accelerate and simplify IT deployment and management to meet customer’s goals while also preparing for the future. New additions included VCE® VxRail appliances and VxRack systems, flexible VMware Virtual SAN Ready Nodes and next generation Dell XC Series hyper-converged appliances. This new HCI solution offers channel partners a wide range of offerings for customers who are attracted to hyper-converged infrastructure solutions. In April, Dell Canada held its Power to Do More Summit in Toronto. Dell’s VP and GM of Engineered Solutions, HPC and Cloud, Jim Ganthier attended the summit and discussed the growing cloud opportunities for the channel, explaining that the key aspect is to determine the customer journey as each customer will have a different entry point and a different set of needs. 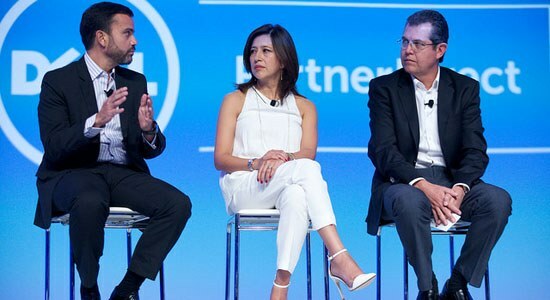 Dell Latin America also hosted their annual PartnerDirect Summit that drew over 500 partners to discuss how to sell more Dell solutions. During the summit, Diego Majdalani, VP and GM of Latin America explained to partners that working to be the largest IT player with end-to-end solutions, from the desktop to virtual servers is a key point of the company’s business operations for the channel. Partners, please be on the lookout for more information to come on updates to our channel program. Lastly, it’s never too early to register for Dell World 2016 and if you sign up now you can take advantage of the early bird rate. We appreciate your business and would love to hear from you! Please send us your thoughts and suggestions through your Dell representative and engage with me on Twitter via @CookCherylS.